fits fine even with 100 mm wide rim ! Very thick directional tread pattern. 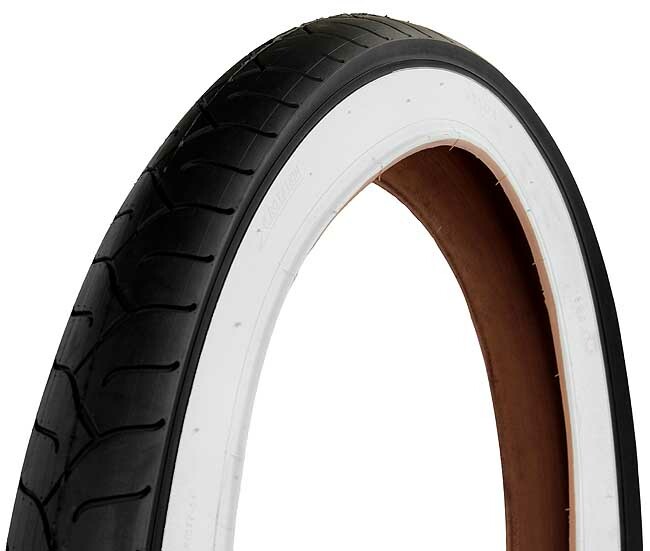 Structure, type and thickness of the rubber braid reminiscent of motorcycle tires or even a car! Before ordering, please check avaliable space in your frame and fork for wheels with tires. Most classic ready frames do not have sufficient width to accommodate such wheel. On our sites we publish information about the width between the fork pipes.